Topic: Is it possible to be a real SWAT Kat? Re: Is it possible to be a real SWAT Kat? Well actually that series does stretch the limits of reality quite a bit. For example having live video from an underground tunnel without massive amounts of preparation is impossible even today. 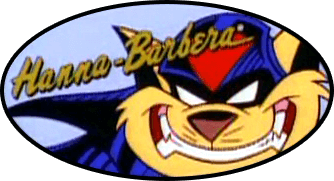 Topic: Which SWAT Kats character would you rather be? Topic: How & When Did You First See The Show? Re: How & When Did You First See The Show? Felony wrote: I want to know who thought 15 minute episodes as opposed to 30 minute episodes was a good idea. Actually in some markets, for example the German one, Children's shows must not be interrupted by commercials. So if you want to sell your show there, it needs to be short. Topic: Seriously, why no footwear, SWAT Kats? Seriously, I just use mplayer and gimp, that also gets around the bad de-interlacing. Topic: Where have all the dubs gone? Re: Where have all the dubs gone? Well here's the Swedish sound to "The Giant Bacteria". The start is in English and for some reason there's a bit of odd clicking even though I recorded it at -12dBFS. Here's my take on it. Obviously it's animated. If anybody has cool ideas for such panoramas, please post them.